Northwest cities like Portland and Seattle are known for their bike-friendliness. Portland is frequently ranked the most bike-friendly city in the land and is home to more than 200 miles of bike paths, 80 miles of off-street bike trails and, unsurprisingly, one of the largest turnouts for the annual World Naked Bike Ride. Seattle, for its part, has a solid network of greenways complementing its more traditional cycling infrastructure. For anyone looking to pedal some serious miles, the entire region is home to classic longer rides. From easy trail routes to more challenging mountain rides, here are some of the Northwest’s best biking routes. Oregon’s first rail-to-trail, an old railroad track converted to a multi-use path, the Banks-Vernonia State Trail takes you through 21 miles of flat, forested scenery and is speckled with 13 old bridges and wooden trestles. Open and accessible year round, the trail can be accessed at six different points and is just a quick 26-mile drive outside of Portland. For those looking to cover ground and elevation, the 28-mile round-trip ride from the White River entrance to Sunrise at Mount Rainier National Park is an exhilarating bike ride filled with gigantic shots of the mountain, crystalline streams and maybe even a deer or two. This killer ride around one of the most beautiful lakes in the world covers 33 miles and has almost as many scenic overlooks and pullouts. Make it a weekend adventure and book a night in the historic Crater Lake Lodge. More than 27 miles, the Burke-Gilman — another rail-to-trail — carves a scenic Seattle route along Lake Union, through the University of Washington campus and on past Lake Washington. Many riders leave from Gas Works Park and continue to the Redhook Brewery for lunch at the 20 mile mark. An absolute classic in the Columbia River Gorge, the Historic Columbia River Highway winds past jaw-dropping views of the Gorge, cascading waterfalls and lush Northwest forests. Though you can start in Troutdale and ride east to magnificent Multnomah Falls, another favorite route for cyclists is the 38 mile trek from the Discovery Center in The Dalles west to Mosier and Hood River and back again. Lopez Island is home to one of the most laid-back rides in the entire Northwest. Known as the flattest of the San Juan Islands, Lopez offers a 37-mile loop around the island that cruises past farms, beaches and quirky little side stops. 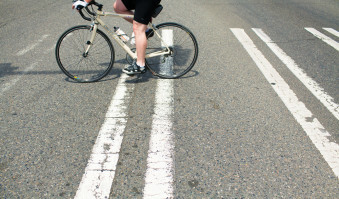 Are you a seasoned Northwest road biker? We’d love to hear about your favorite rides in the comments below!